We are proud to serve the Houston County GA area! Your 100% tax-deductible donation helps our organization provide food, shelter, medical care, and other vital services for our animals, many of whom have special needs. 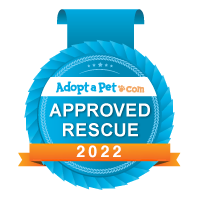 The Humane Society of Houston County is staffed entirely by unpaid volunteers who work diligently to find perfect forever homes for the fur babies in our program. We need your help to save the homeless animals in Central Georgia; thank you so much for your donation! We are Purina Pro Plan Rally to Rescue Ambassadors.